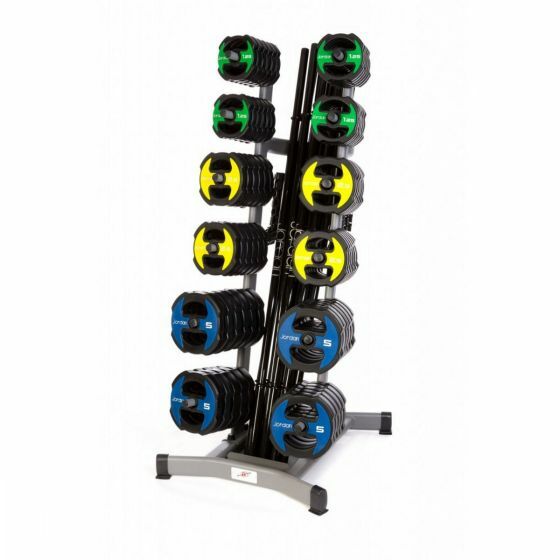 Perfect for smaller studio classes or group sessions, this set of 12 Jordan Ignite V2 barbells are amazing quality and come with a rack for storage. Designed with a tough urethane finish they are ideal for any gym or studio and come with a 3 year warranty. 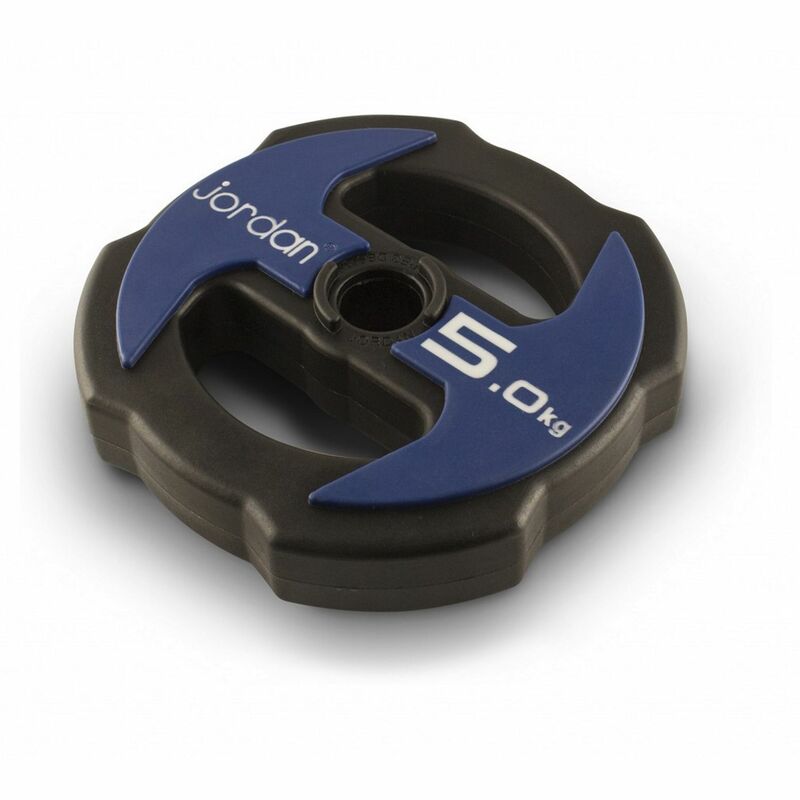 The Ignite V2 design now features a unique locking system for the discs to prevent them rolling on the bar and anti-roll discs. A great investment, the discs are even colour-coded for easy identification. Whether it's for circuits, pump classes, CrossFit or just general fitness classes, these new Ignite V2 barbells look stylish, offer individual discs so you can choose your weight and have an anti-roll design which means they are perfect for high intensity classes. 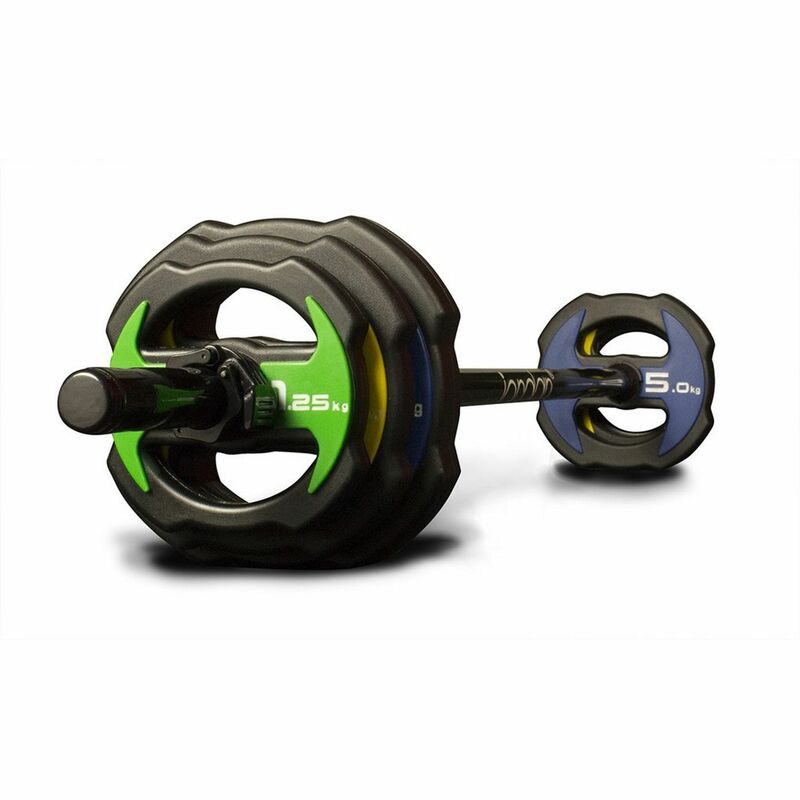 Carefully designed weight plates have an ergonomic handle built in to the design allowing them to be used in various ways without a bar. 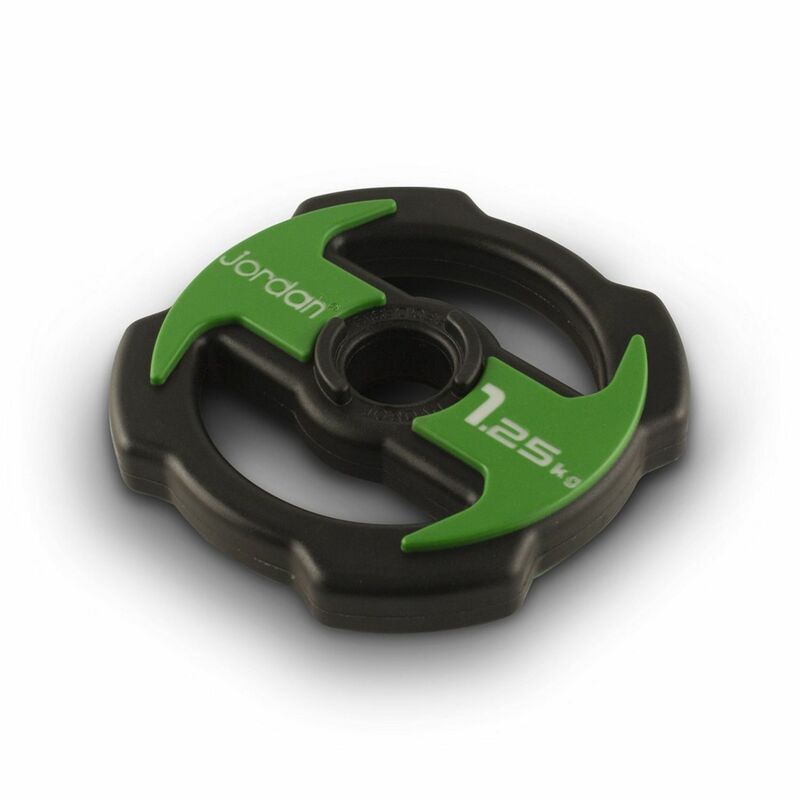 The gloss black bar comes with a pair of quick locking collars that ensure those weights are securely fastened. Finally, all of this comes with a specially designed rack that allows you to store them all away to keep your gym floor tidy. 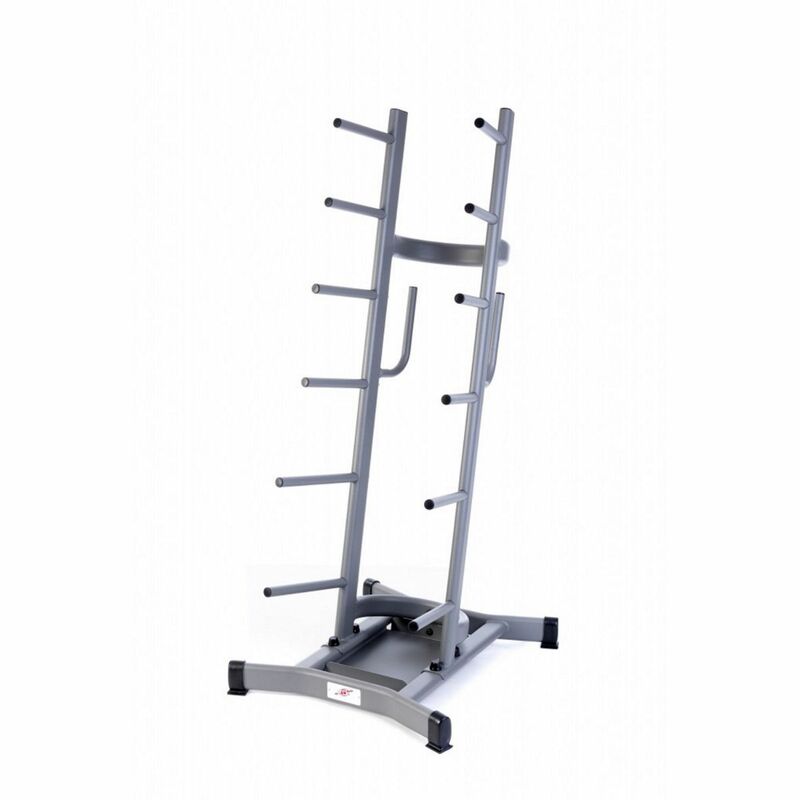 This is a high quality barbell set and rack that allows up to 12 clients to partake in a class at any one time with the full complement of weight on each bar.